Comparing Numbers using Percents. . . Percentage Comparisons . . .
advantages because it does not require a physical drawing. There is not enough space to physically plot more than a few numbers on the same line graph (number line). Plotting extremely small numbers, or extremely large numbers, or numbers with completely different orders of magnitude, or numbers which are almost equal may each require dramatically different labeling of scale marks. In addition, each situation may require completely different intervals marked on the number line. Direct Comparison eliminates the problems listed above. Direct comparison does not require a physical drawing. Real Numbers are sequential. By comparing place values, any two numbers can be compared directly - once the numbers are written in the same standard notation. Note: When using a percentage calculation to compare two numbers, any real number may be used (integers, decimals, or fractions. However, both numbers must be positive, or both numbers must be negative. Compare the numbers 0.3013 and 5.1371 . (1) Divide either number by the other number, then (2) multiply by 100 to convert the result to a %. 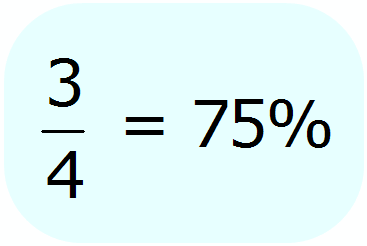 (3) If both numbers are positive, and the resulting percentage is greater than 100%, the numerator is larger than the denominator. 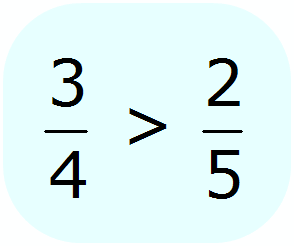 If both numbers are negative the opposite is true: given the same results, the numerator is smaller than the denominator. (3) Compare the result to 100%. 1704.98% is greater than 100%. Therefore 5.1371 is greater than 0.3013 . 0.3013 is less than 5.1371 .